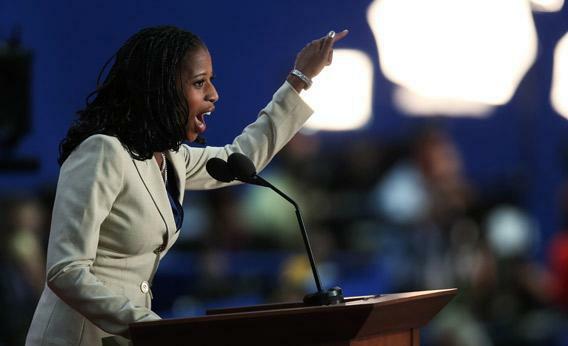 Mayor of Saratoga Springs, Utah Mia Love speaks during the Republican National Convention on August 28, 2012 in Tampa, Florida. And she might be pulling it off. The Saratoga Springs mayor led 51 percent to 36 percent, with 13 percent undecided. Love’s pollster had found Matheson ahead in July with 51 percent, so the new poll indicates a dramatic shift in the race. Previous public polling had also shown Matheson with a signficant lead. In an age of stronger partisan loyalty, it’s increasingly hard for the “I hate my party, really!” message to overcome the “there’s an R behind my name” message. *The Cook rating is pretty simple. A district that votes the same way as the rest of the country +0. So, if you’re in a district that Barack Obama won by 7 points, you’re in +0-land. If your district voted 50-50 for Obama-McCain, it edges Republican. An R+14 district is Republican landslide territory.